My profile in the professionalized world of poetry is not unusual: schooled in academic institutions of creative writing, both in the Philippines and the US, published by university presses and literary journals based in universities, employed in an English Department as a teacher of literature and creative writing courses. It is unsurprising to see these details recur in the brief biographies of eighteen poets from eighteen countries in attendance at a poetry festival. In a country where “Filipino” is regarded as synonymous to “maid,” I go onstage, buttressed by my academic degrees and the grants that granted me time to write, and read my poems in English to an international audience. Behind me, translations into Chinese of my lines, as I read them, are flashed on a big screen. The space I am given to present my work is made possible with the help of a domestic helper, who reminded her employer to consider including a Filipino in the festival lineup. My poems betray preoccupations removed from the realities of the three Filipino aunties in the audience, who have, perhaps unwisely, decided to dedicate a portion of their day off to showing their support for a Filipino poet. The poems are what they are in part because I believe that what’s worse than a Filipino poet in English who does not in her poetry speak on behalf of fellow Filipinos is a Filipino poet in English who does. On the international stage of professionalized poetry, I belong to the minority by virtue of nationality and ethnicity, and my presence both signals and advocates inclusivity in the world of letters, whose achievement continues to define the struggle of writers from the margins. My presence, however, is also indicative of multiple privileges that set me apart from the minority that I appear to represent. I am the Filipino at the festival precisely because I do not come from the margins of Philippine society. I neither live below the poverty line, like most Filipinos, nor am I forced to migrate to other countries in search of better (minimum) wages, like Auntie L— and many others. My privilege is encoded in the very language that I use to write. A Filipino poet who writes in the language of the educated and the elite cannot easily claim to represent the oppressed in her work. A Filipino poet can hardly claim to address or express solidarity with the marginalized, if she writes in the language that excludes them. The need to reckon with the privileges inscribed in Philippine literary production in English is obscured, I think, by the minority position of Philippine literature in the “world republic of letters,” combined with the likelihood that Philippine literature in English, rather than in other Philippine languages, would gain access to this minority position, since it can be read by a global audience without the aid of translation. What dominates the hierarchy of literatures in the Philippines becomes a stand-in for Filipino national identity in the global literary arena, where it is an extremely minor player and must struggle for visibility. I think this struggle, or even just the idea of it, at times emboldens Filipino writers in English to testify to the global audience about the lives of Filipinos, and to occupy or represent, in art, subject-positions of the marginal from which they are estranged in their immediate environment. Such moves can predictably generate essentialist or exoticized renditions of “the Filipino experience” by these authors, whose deployment of otherness to pander to the market is arguably compensated for by the space they strive to carve out for Philippine literature (in English) on the world literary map. More complex and nuanced imaginings of national identity, while contributing more meaningfully to the struggle for representation, are nevertheless still embedded in the business of representation. This inevitably commodifies the struggle and converts it to cultural and economic capital, whose immediate beneficiary, for good or ill, is the writer herself. It is simply more likely that efforts at literary representation would translate to accolades, or sales, or promotion points, or plain old recognition or credibility among the smallest of audiences, or an additional line in the writer’s curriculum vitae, than to a world where the exportation as cheap human labor of Filipinos (who live in the margins that frame the writer’s speech) becomes obsolete. The invisibility of Philippine literature globally, when generalized to a degree that downplays the hierarchy of literatures locally, also reinforces the valorization of writing as a struggle in itself and thus in itself an explicitly politicized action. That the page is the arena in which the writer labors has yielded a routine exercise in the local world of letters that presents itself as a form of activism. In a country prone to disaster and rife with atrocity, the Filipino poet, myself included, responds to disaster or atrocity by writing poetry about it. In some instances, the magnitude of the death toll, or the extent of the violence, can drive a poet to mobilize other poets to write more poems, to post the poems on social media to reach a wider audience, perhaps put together an anthology, perhaps donate the sales from the anthology to the victims. Such gestures seem to restate even as they conceal the division between aesthetics and politics. There is something amiss in collective action when all that comes out of it is more poetry. Conchitina Cruz was born in Manila. She teaches creative writing and literature at the University of the Philippines in Diliman. A recipient of Fulbright and Rockefeller Foundation grants, her books of poetry include Dark Hours, winner of the National Book Award for Poetry in the Philippines; elsewhere held and lingered; and There Is No Emergency. She is part of the Manila-based small presses High Chair and the Youth & Beauty Brigade. She also helps run the small press/DIY expo Better Living Through Xeroxography (BLTX). She currently lives in Quezon City. 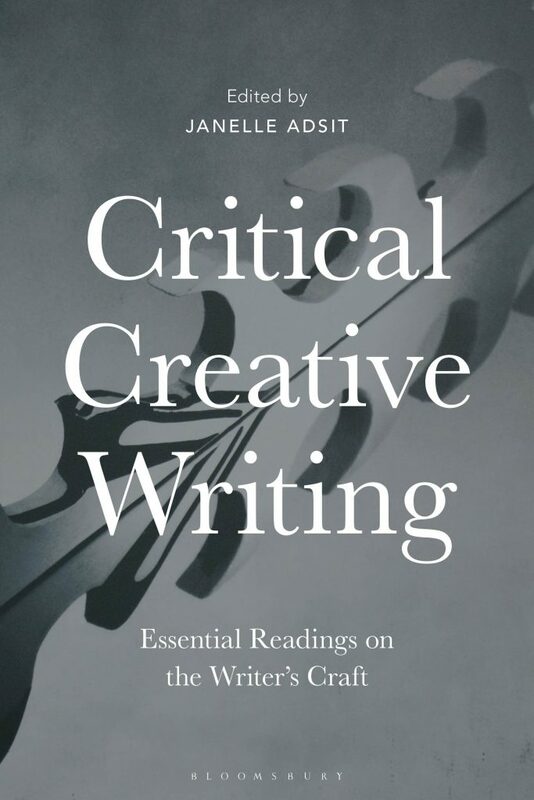 Her essay “The Filipino Author as Producer” appears in Critical Creative Writing: Essential Readings on the Writer’s Craft, now available from Bloomsbury.